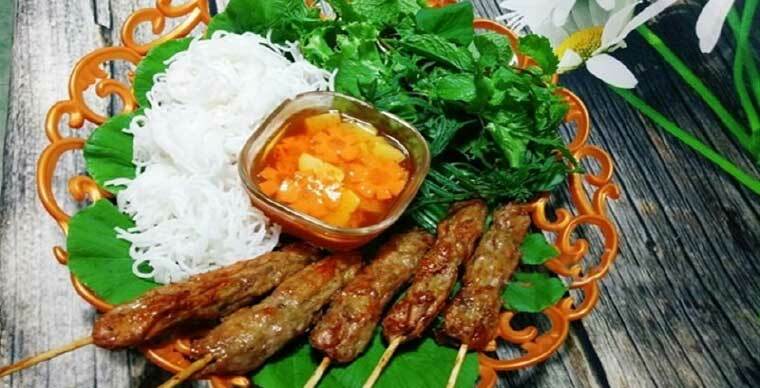 A dish as simple as good, Bun thitnuong is a very popular Vietnamese dish consisting of rice noodles topped with grilled pork, fresh herbs like basil and mint, fresh salad and pieces of “nem” (spring roll), carrot, cucumber marinated in a sweet and sour sauce. The dish is dressed with fish sauce and peanut. A balanced, refreshing and complete dish as beautiful to look at as good to eat. 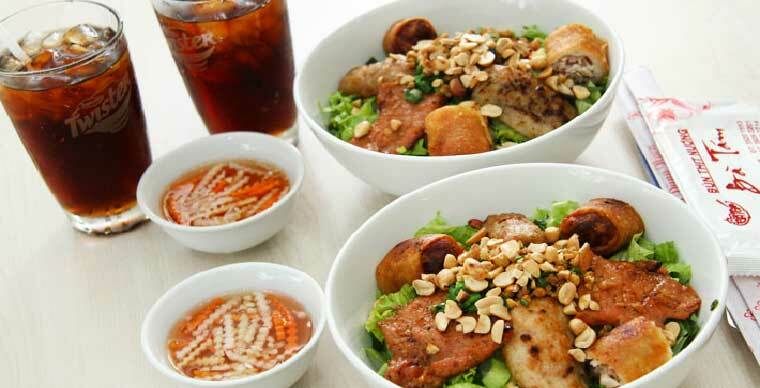 And down below are the best restaurants to try the dish in the home of Bun thit nuong - Saigon. 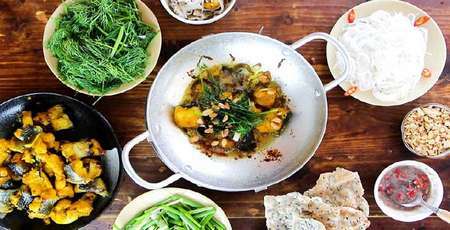 Bun thitnuong should be one of your must-try things in Saigon And Hai Dang Bun thitnuong restaurant should be the first place you come for this cuisine. 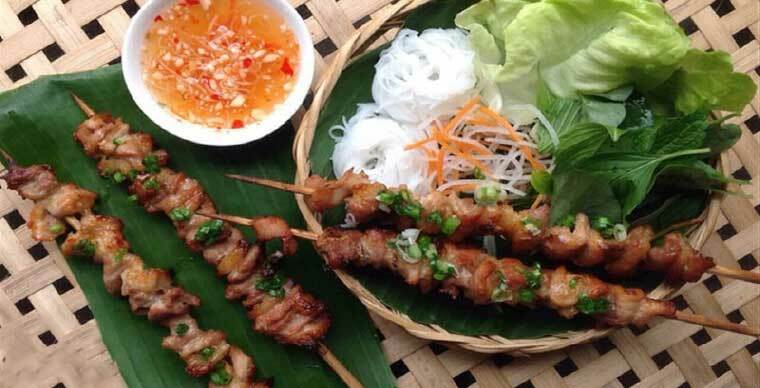 It’s not difficult to find Bun thitnuong in Saigon but the original taste of the dish can only be found here. Contrary to the rural name of the place. 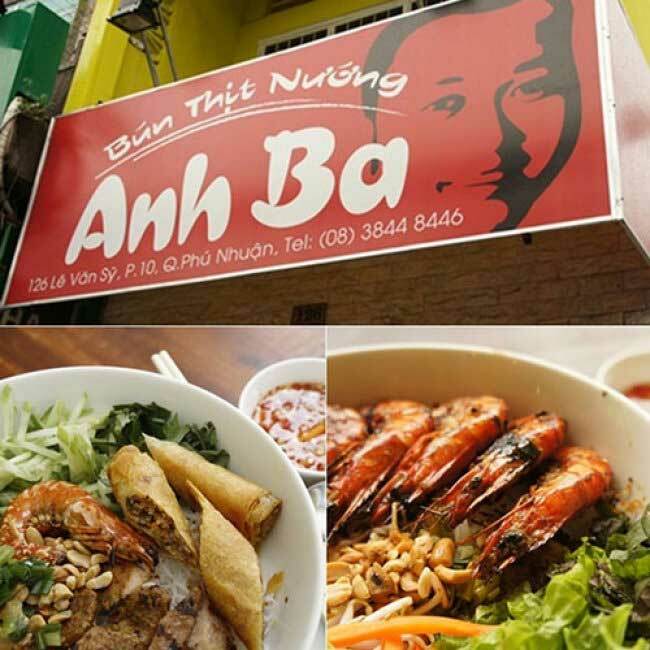 Anh Ba restaurant cares about the design and decoration much more than we often see in other Bun thitnuong restaurants. Not only the space but also the dish is well-decorated. 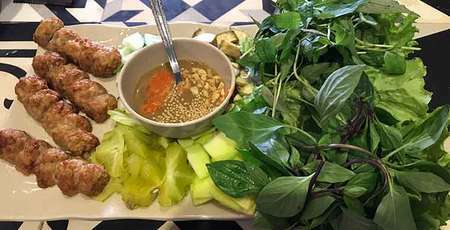 The dinners coming here can see an upgrade version of the dish but still can definitely taste an authentic Bun thitnuong. Co Ba Restaurant is a fairly popular place located in the center of district 3. The place is always crowded, so the food is normally taken away. 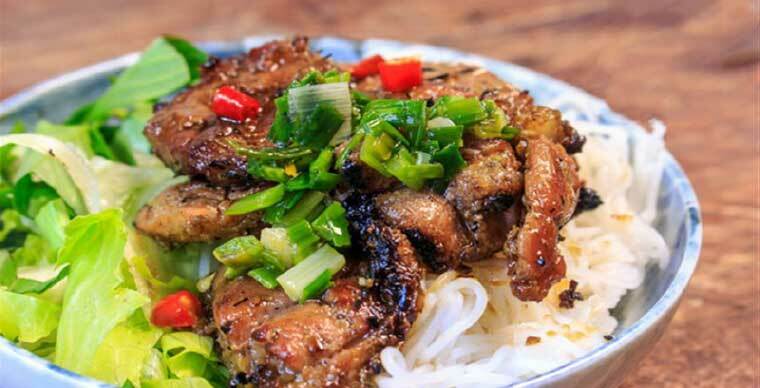 The meat here is not over customer's, well-marinated being served with herbs and noodles dressed with fish sauce on top for a typical spicy sour and sweet flavor of Bun thitnuong. 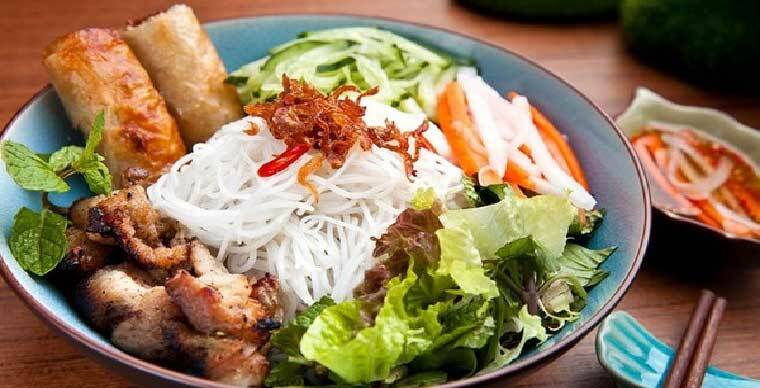 Therefore, Co Ba is also considered one of the best Bun thit nuong restaurant in Saigon. 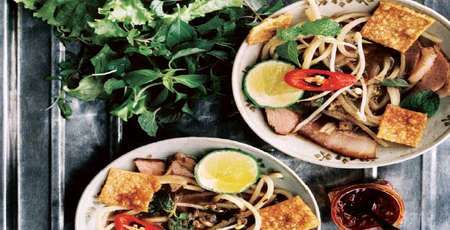 At the restaurant, you can ask for bun thit nuong or steamed bread. The plus is that the restaurant is very spacious. 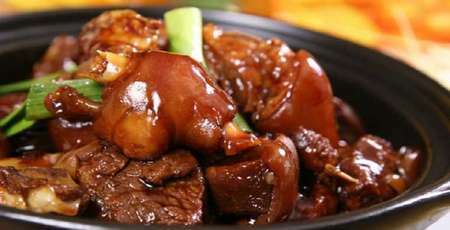 The meat is well-marinated, soft and still moist even when it’s well cooked. 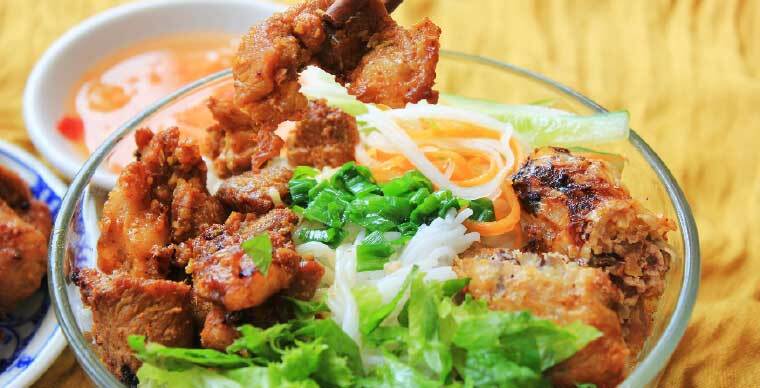 In general, the Bun thitnuong here is in great quality consisting of: 1 big spring rolls, grilled meat, vegetables, herbs and pickle. Surely you will not be disappointed when eating here. The space is well equipped and arranged quite simply. The set of tables and chairs are arranged straight along the wall of the square brick, reddish brown bring you a cool, refreshing and familiar atmosphere when coming here. Open: Monday - Friday: 10:00 - 21:00, Saturday: 10:00 - 22:00, Sun: 05:00 - 22:00. 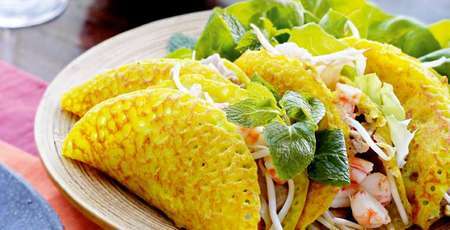 Located in the street of Bun thitnuong in Saigon but Sau Can restaurant is still crowded because of the perfectly cooked golden meat you can find nowhere else. The restaurant has been receiving a lot of positive feedbacks from the dinners for the quality and the price of the food. 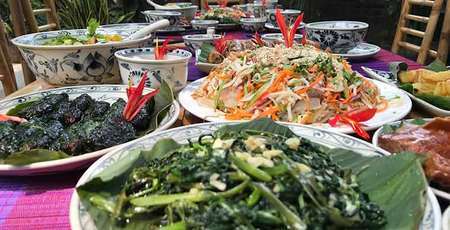 Besides the positive points about good food, reasonable price, the restaurant also occupies the good feeling of its customers thanks to the enthusiasm and the courteous manner of the owner. So, it is not hard to understand why the Ca Na Restaurant is on this list. 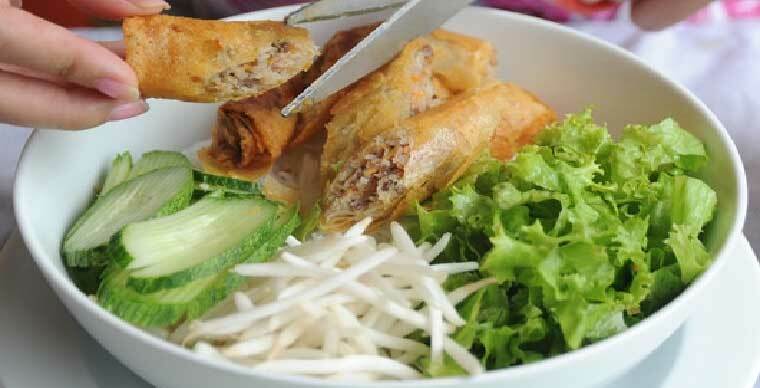 The restaurant is located on Su Van Hanh street, pretty easy to find. Just like any restaurant on the list when the quality of the food and the price can be guaranteed, another plus for Tu Son Restaurant is the customer services and helpful staffs. Especially when the staff bring noodles to serve guests, people feel surprised because the portion is quite large. 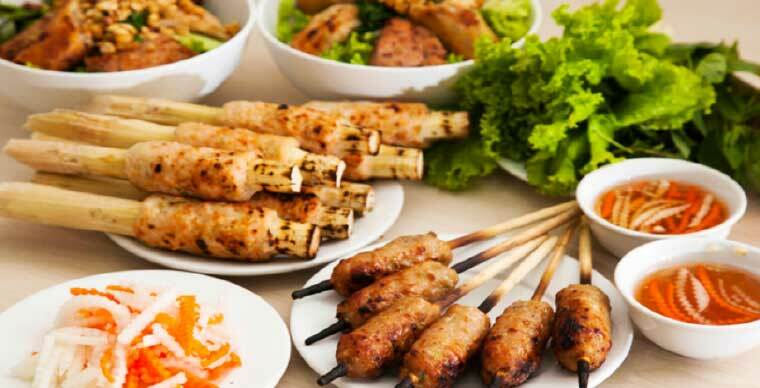 From spring rolls to barbecue are great, but the price is slightly higher in the range: 45,000 VND in part. However, compared with what you eat in Tu Son restaurant, this price is quite reasonable.